7 Cool Tech Products That You Need To Check Out! 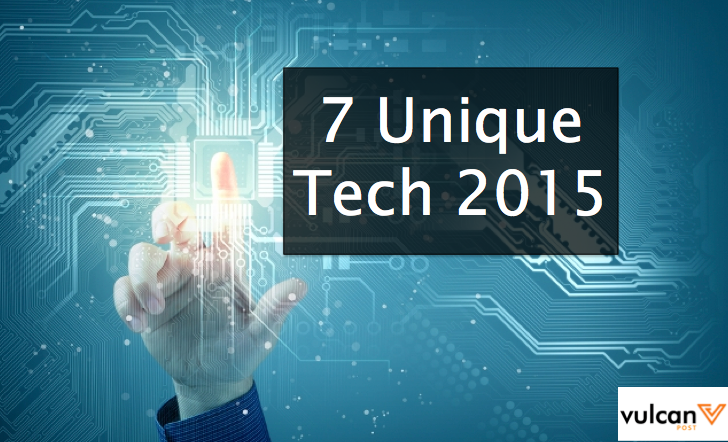 7 Cool Tech Products We Wished We Had In 2015 - But That's Too Late Now. With the year coming to an end, we took a quick look at what are some of the unique technologies around the world which we might have slipped our radar, and here are 7 cool ones we found! The earliest mobile phones had buttons and knobs on it until we decided it was too inconvenient, so touchscreen buttons were created. Today, we don’t even want to touch our phones. Ring is a wearable device that works similarly to a wireless mouse, allowing you to control your phone with recorded finger or hand gestures via Bluetooth. Scrawl ‘TV’ to turn your television set on or swipe in a direction to navigate your phone. Ring won’t corrupt your soul like it did to the Smeagol in Lord of the Rings but I can predict it turning us into really lazy bums. Pipsqueak is a mobile phone intended for children usage which perfectly defines what PG (Parental Guidance) is. The Bluetooth-controlled phone lets parents call or video call their children safely from a caller-approved list, and comes with other features like games and music. Relatively inexpensive at under a $100, parents whose children enjoy hurling their smartphones with reckless abandon ought to seriously consider a Pipsqueak for their little pipsqueaks. 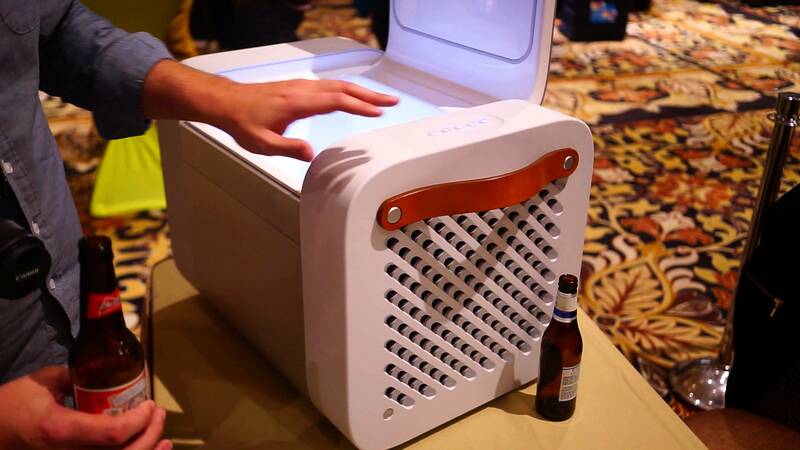 The Kube is a 27kg juggernaut that keeps your beverages chilled and rolls out your favourite party tunes all in one. Clearly marketed at the affluent partygoers market, the cooler is designed waterproof for pool parties and thumps out bass at an impressive 125-decibels. It’s about time someone came up with a smarter way to monitor our babies, and Pacifi-i is a smart-pacifier that does just that. 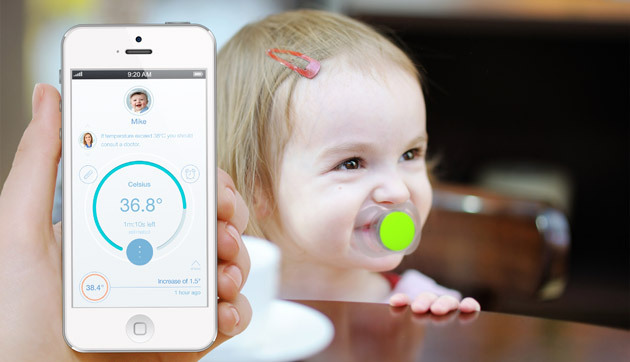 The device keeps track of a baby’s temperature and health, logging it on a synchronised mobile app. Apparently, losing pacifiers is a very common happenstance with parents (or is it the baby? ), so the Pacif-i’s built-in tracker was designed to deter it. You’ll never need to bring portable chargers with you any longer since with the Ampl SmartBackpack, you’re practically carrying a power socket with you. 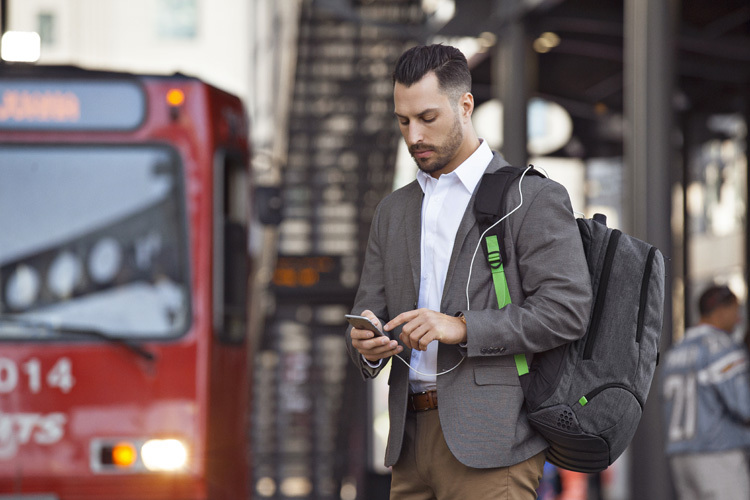 The backpack has a built-in 5000mAh battery with no less than seven USB ports, letting you charge your phones, laptops or tablets all at the same time. The only thing left for you to charge would be a fee to your freeloading friends in order for them to make use of your bag all the time. 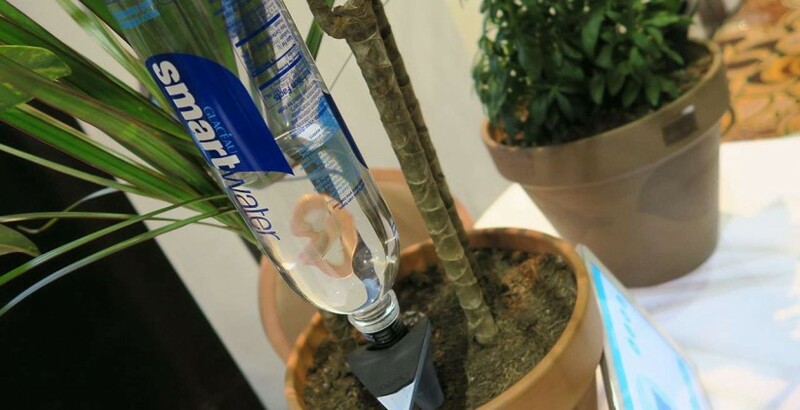 Perfect for gardeners who don’t believe in the therapeutic effects of verbally conversing with their plants as they water them, Parrot H2O is a device that simply waters your plant at intervals by attaching a water bottle to it. It is a complement to the manufacturer’s previous product, the Parrot Flower Power, which monitors levels of sunlight, temperature, fertiliser and moisture with a sensor that is stuck into the soil near your plant. The next thing we know, even our flowers are going to be mechanical. Likely to be the most bizarre item on this list, these smart socks collect data on your cardiovascular activity through an anklet that is magnetically attached on the sock. Textile sensors sewn onto the sock detects the areas where the runner puts most the most pressure on, providing feedback and data on your running habits through a mobile app.